It’s one easy, filling, and comforting beef enchilada pie recipe for your next Taco Tuesday — or, hey, try it tonight: Because any day is a good day for pie, right? 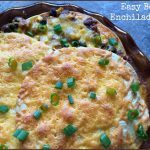 Easy Beef Enchilada Pie, anyone? I picked up this pretty pie dish at Goodwill earlier in the week, as I’ve been on the lookout since breaking my older glass one ages ago. Of course then I felt compelled to use my new pie plate right away, and what better way to do so than with some full on comfort food? 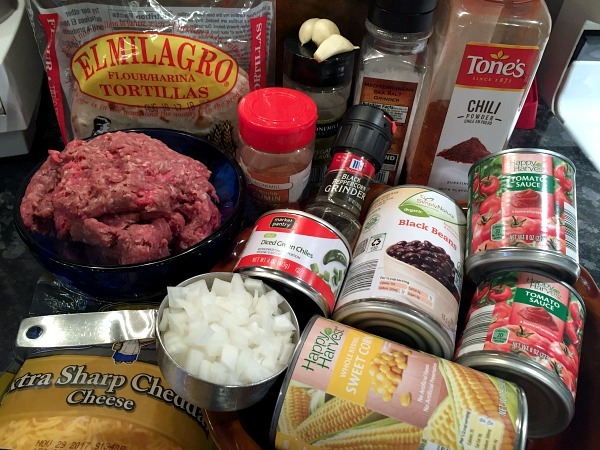 Since ground beef has been on a price downswing lately, it stars here in this July 30, 2017 edition of Sunday Scratchups: Your weekly recipe from scratch around ingredients that are either on sale or generally affordable. Preheat oven to 350 degrees, then spray a pie dish with cooking spray. Brown beef, garlic, and onion in a large skillet over medium-high heat, breaking up the neat as you go. Drain well, then return the beef to your skillet and stir in corn, beans, tomato sauce, diced green chiles, and spices. Bring to a boil, stir, and remove from heat. Add 1/3 of the beef mixture to the bottom of your prepared pie dish, then layer two overlapping tortillas on top (they won’t completely cover the beef), then 1/3 of the cheese. Repeat layers until all ingredients are used, then bake at 350 degrees for 25 minutes or until cheese is lightly browned. Let cool for a few minutes before slicing. Top with any or all of the following optional toppings: Sour cream, diced tomato, avocado, sliced black olives, green onion, salsa, and/or other fixings of choice. 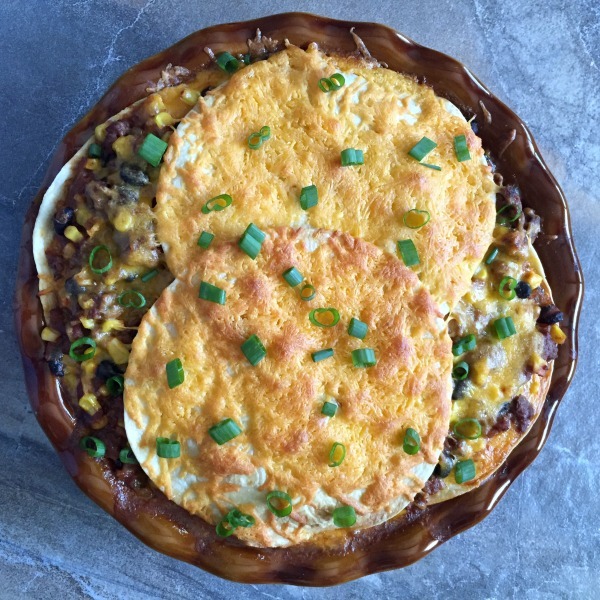 Enchilada pie was a hit with everyone here! 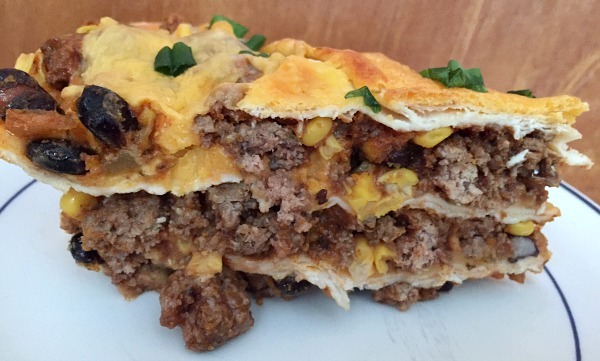 Why not throw together this filling and comforting easy beef enchilada pie recipe for your next Taco Tuesday — or, hey, try it tonight: Because any day is a good day for pie. This recipe as written is savory, but not spicy. If you’d like more heat, just taste the beef mixture before starting to layer the enchilada pie and spice it up with additional chili powder and/or a little cayenne. You can also substitute diced tomatoes with green chilies for one of your cans of tomato sauce, but here, I just left the recipe on the milder side for Mr. 10 and enjoyed my own slice with a little hot salsa. Preheat oven to 350 degrees, then spray a pie dish with cooking spray. Brown beef, garlic, and onion in a large skillet over medium-high heat, breaking up the neat as you go. Drain well, then return the beef to your skillet and stir in corn, beans, tomato sauce, diced green chiles, and spices. Bring to a boil, stir, and remove from heat. Add 1/3 of the beef mixture to the bottom of your prepared pie dish, then layer two overlapping tortillas on top (they won't completely cover the beef), then 1/3 of the cheese. Repeat layers until all ingredients are used, then bake at 350 degrees for 25 minutes or until cheese is lightly browned. This recipe as written is savory, but not spicy. 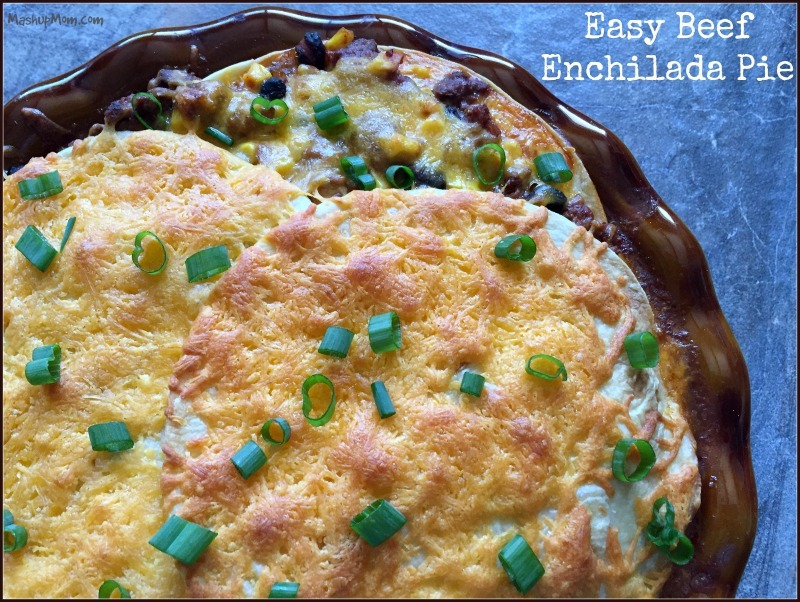 If you'd like more heat, just taste the beef mixture before starting to layer the enchilada pie and spice it up with additional chili powder and/or a little cayenne. You can also substitute diced tomatoes with green chilies for one of your cans of tomato sauce -- or serve with hot salsa so that people can add heat as desired. 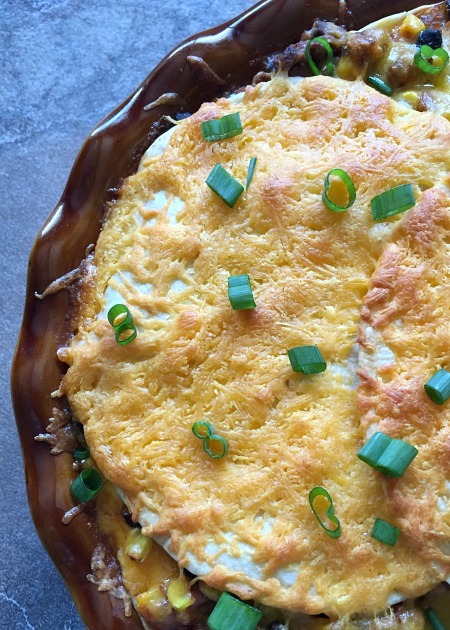 We made this for dinner tonight – my whole family loved it!! 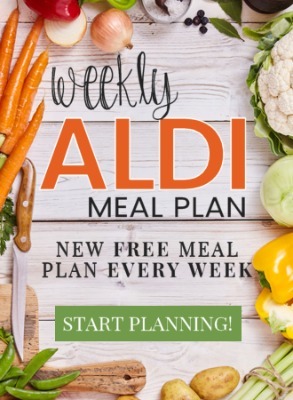 Thank you for this easy recipe!! This made enough for 3 layers in a 13×9., using a few more tortillas of course. Me too! I was getting ready to say the same thing. I have a whole 9×13 pan ready for the oven. I used corn tortillas to make gluten free. And used 1/2 regular and 1/2 chipotle chili powder to bump up the heat. Delish! But, it did not fit in my 9” Pyrex pie plate. However, I successfully transferred it to my 2.5 QT oval Corningware baking dish. Fit perfectly!